The National Upper Cervical Chiropractic Association (NUCCA) is a nonprofit organization dedicated to research, education, and patient care based on a safe, gentle, and painless system of spinal correction that is unique-even among those in the chiropractic profession. Only chiropractors receiving training and certification from NUCCA (about 200 practitioners in the United States) are qualified to use the NUCCA technique. What Is the NUCCA Technique? As opposed to traditional chiropractors, who make forceful adjustments to the entire spinal column, NUCCA practitioners focus on very specifically and gently adjusting the Atlas vertebra, bringing it back to its proper position. The Atlas, or the topmost bone in the spine, located just below the brain stem­-is the first of the 7 vertebrae in the spine known as the cervical spine (C spine). Thus, the Atlas is also called C-1. The Atlas vertebra gets its name from the mythical Greek hero Atlas, who was forced-by the god Zeus-to bear the sky on his shoulders; the Atlas vertebra, in similar fashion, supports the weight of the head. 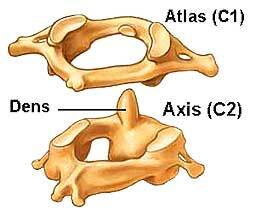 The Atlas is the only vertebra that does not have a disc above or below it; thus, the Atlas is the only freely movable vertebra in the spine. This movement allows the skull to rotate, but because of this movement, is also subject to injury and easy misalignment. When the Atlas misaligns, compression of the brainstem may result; this compression can affect nearly every body function. 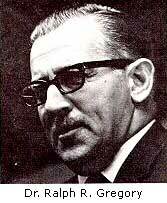 Thus, the Atlas must be perfectly aligned to enable the brain to properly communicate with the rest of the body. Many of the symptoms that occur lower down the spine (in the lower back, or lumbar spine, for example) are caused by a subluxation, or misalignment, higher up-at the Atlas vertebra. Thus, attempting to restore nerve flow to individual nerve roots in the lower spine cannot be effective if the Atlas and cervical spine are not receiving a normal nerve supply. When most people think about chiropractic care, they think of neck pain, back pain, or muscle aches. 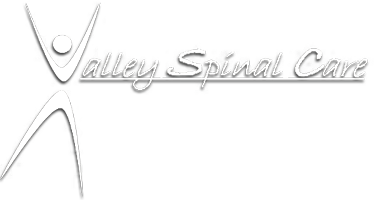 At Valley Spinal Care, we are able to naturally restore health to individuals suffering from thousands of different health issues. This restoration of health is accomplished by using the NUCCA procedure to restore proper body balance. With proper body balance, the nervous system will function optimally and the body can begin to heal naturally, without the use of dangerous drugs or surgery. As practitioners of NUCCA care, we believe in the holistic approach to health-treating the whole person and not just chasing after symptoms. Using state-of-the art diagnostic technology we are able to detect and then correct what we consider to be the fundamental cause of many health problems-atlas subluxation. Peterson DH, Bergmann BF. Chiropractic Technique: Principles and Procedures. 2nd ed. St. Louis : Mosby, 2002. 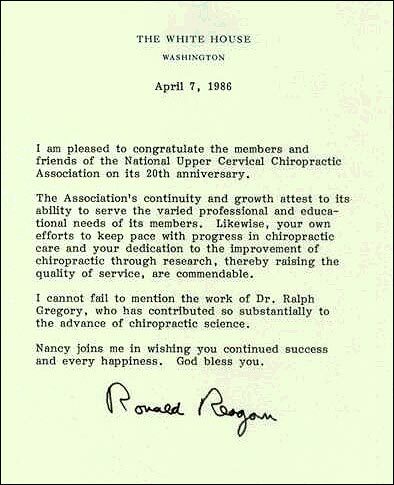 National Upper Cervical Chiropractic Association Web site. Available at: http://www.nucca.org. Accessed March 6, 2005.